If it is musky you are after you have come to the right place. 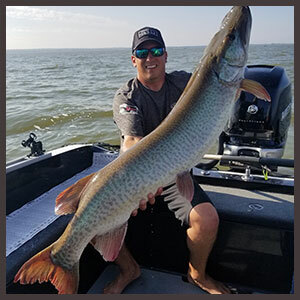 Starting in September, musky fishing in Green Bay has reached world class fishing status in recent years. 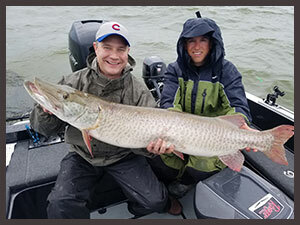 Many experts feel the next world record will be caught in the waters of Green Bay or the Fox River. 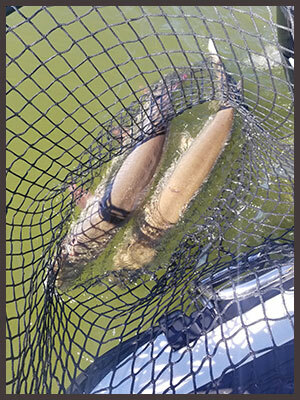 This is a trolling bite 1 - 5 fish days are very common. 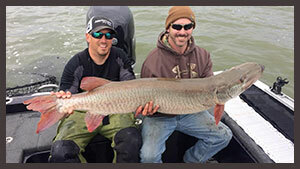 If you have never caught a musky this is the best and easiest way to do it. 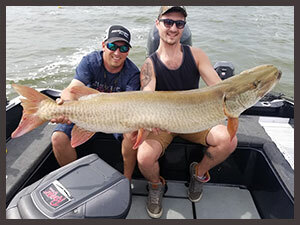 Every year there are numerous 50"+ musky caught and you have the opportunity to catch a fish of a lifetime. Book now to experience one of the hottest fall trophy bites in the world! Positive attitude and a desire to learn and have fun! 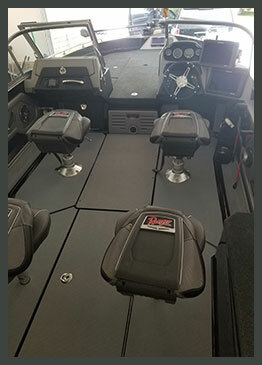 You will be fishing from a 2018 621 Ranger powered by a 350HP Mercury Verado, 9.9hp 4 stroke kicker with 101lb Minnkota ulterra trolling motor, 3 GPS units, 3 electronic fish finders, marine radio & cellular phone, USCG approved safety equipment, top of the line rods and reels, live and artificial bait, tackle, and photos of your trip.